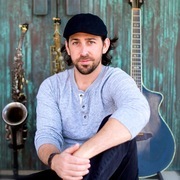 My name is Joe Cardillo & I am available for wedding ceremony, cocktail hour, corporate and private events specializing in acoustic music. I have years of experience playing over 2,000 shows of these types. I have an extensive setlist that I am happy to send to you, so you can customize your musical playlist for your event; including but not limited to Adult Alternative, Rock, Blues, Country, Pop, R&B, Top 40 and more. I also perform weekly in the SoCal region, and can be heard, or auditioned "live" at your request. I have a degree in Music Performance from College of the Holy Cross and have toured all around the country playing in almost every state. I've opened up for Sister Hazel, Everclear, Donavon Frankenreiter, Dispatch, Eric Martin (Mr. Big), Phil Solem (The Rembrandts) have multiple music endorsements, and have played countless corporate events including Kaiser Permanente, Intuit, HG Fenton, The San Diego Gulls, Reef, San Diego Charitable Foundation, etc. Depending on your need, I can play acoustic guitar and sing and/or I could create a one man band sound using a combination of live loops laying down the chords, using small percussion, and while adding bass lines. In addition, I can sing the melody while often times looping vocal harmonies or sax lines. I could also play some nice melodic sax solos every now and then as well! Fun to watch and listen to, but not overbearing. Easy to work with and take pride in what I do. Please feel free to call me anytime with any questions and I look forward to hearing from you! I started playing music 3rd grade & now play guitar, sing and play 12 other instruments. Music has always been a passion of mine and I am so grateful to have always been a full time self-employed musician! I love to create musical experiences with people and would be honored to play for you!